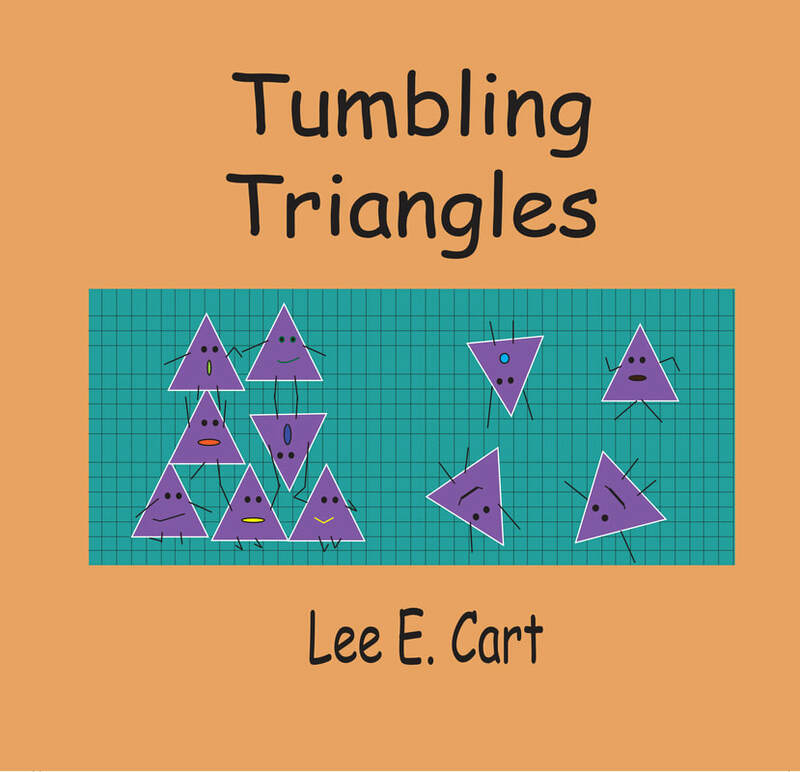 Purple triangles, green triangles, red triangles, and many others tumble about, play hide-and-seek, learn to skate, go camping, and much more. They help children learn their colors, numbers 1-10, and sizes. Colorful and creative, Tumbling Triangles is kid-tested, mom-approved, and makes learning the basic concepts of shapes, colors, and numbers fun for everyone! 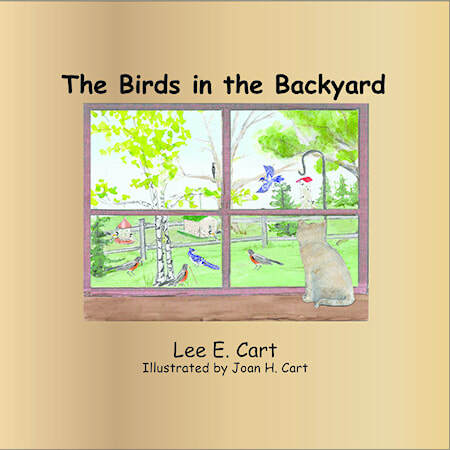 The Birds in the Backyard is a children's book by Lee E. Cart and illustrated by Joan H. Cart. Robins hop, blue jays squawk, and the barred owl flaps his wings... all in the backyard. Through rhymes, The Birds in the Backyard identifies several birds commonly found at bird feeders in many backyards. Robins, blue jays, doves, a barred owl, chickadees, and woodpeckers all play roles as a cat watches from the window. An activity guide provides readers with fun games and ideas to share and enjoy with children. 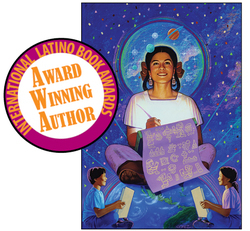 Rise of the Jaguar Woman: Book Two of The Mayan Chronicles is the second place winner in the Best YA Latino Focused Book category of the 2017 International Latino Book Awards. A historical fantasy set against the backdrop of the ancient Mayan world, Born in the Wayeb is a riveting tale of magic and intrigue . . . Deep in the jungle, while drums pound and men dance to keep the evil gods of the Underworld at bay for the five days of the Wayeb, a baby is born. Her birth sends a ripple across the land, alerting Satal, the black witch of Mayapán, of the existence of a new rival. Fearful of the taint that clings to Na'om's fateful birth, the villagers of Pa nimá shun this child of the Wayeb. She lives her life as an outcast, more comfortable hidden in the liana vines with her pet jaguar, Ek’ Balam, than near her neighbors. With the help of her grandmother and the tribe’s shaman, Na'om struggles to understand the fearful dreams and visions that have plagued her since birth. When these dreams turn into living nightmares, will Na'om have the strength to confront the powerful adversary who threatens her life and the lives of those she holds dear? An immersive blend of facts and fantasy, Born in the Wayeb portrays an ancient world where the veil between worlds is sheer, and the characters must fight to protect those they love. By Lee E. Cart has won third place/honorable mention for Best Fantasy/Sci-Fi novel in the 2015 International Latino Book Awards. Now available through this website, at Amazon, Barnes and Noble and other independent bookstores. 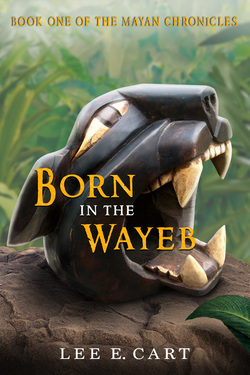 Judge's Commentary: "BORN IN THE WAYEB by Lee E. Cart is an excellent fantasy novel for those who want to travel deep into the fascinating world of the Mayans. The cover is interesting and striking, and should attract those readers looking for this type of novel. I like how the author makes plain on the front and back that this is the first of a series. This is important, so readers will be on the lookout for additional books. The back cover copy is intriguing enough to encourage readers looking for this type of novel to purchase. J. Thomas says,"I just finished Book One of The Mayan Chronicles, Born in the Wayeb, and can't wait to read book two. I was intrigued by the interwoven plot, the development of the characters, and the fantasy aspects (talking skulls and doors to the underworld). This obviously well-researched depiction of the time does what all good stories do: it informs and entertains. Go Na'om!" D.V. Lake says, "Born in the Wayeb draws you into the mysterious world of the Mayans. The author, Lee Cart, takes you on a journey filled with rich details and intrigue that make the characters come alive. I look forward to the next book to find out what happens to the young girl, Na'om, and the black witch of Mayapan." J. Caven says, "This is a great book! It has passion, color, conflict, romance, magic-all the elements of a top-notch story!" Ek' Balam Press is pleased to announce it is now publishing a new series of how-to booklets under the name, The How to Do Anything Series. Title one, How to Save Hundreds in Editing Fees and title two, How to Lose Weight without Much Effort are now available in Amazon's Kindle store. Look for the distinctive green covers! Are you overweight by five, ten, twenty pounds, or more? Have you tried all kinds of weight-loss programs from eating special foods to workouts that leave you exhausted, and yet find that once you stop, the weight creeps back on your body? Do you want to lose weight but don’t know exactly why you can’t? In this easy-to-follow booklet, I outline the eight main reasons why I used to overeat and help you figure out if any of these issues might be why you’ve gained weight, too. I then go on to examine the amount of calories you need in any given day, discuss portion sizes versus servings sizes, and give you a simple way to decipher just how big a portion really should be. Then I tell you the one form of exercise that I’ve been able to do anywhere, that doesn’t require any fancy equipment, yet has helped me maintain a healthy body weight for the past twenty years. I’m no fitness guru, don’t drink smoothies, or avoid all kinds of foods to stay slim. I’ve just figured out a simple three-step method to weight loss that’s worked for me and I think will work for you, too. So, if you’re ready to embrace a new weight-loss method that works, that will change your life for the better, then for less than the price of an extra-large cup of coffee, pick up this booklet and let’s get started. Stop paying hundreds in editing fees! You've written a book and are ready to have it edited. But before you send your manuscript off to an editor, there are a few simple steps you can take that will save you hundreds of dollars in editing fees. For the price of a good cup of coffee, this booklet will walk you step by step through a variety of easy tasks that will improve the general appearance of your manuscript, fix formatting problems, and ultimately save you money. Available now at the Kindle store on Amazon.